Much like other underserved and often underrepresented populations, all forms of media continue to narrowly construct people with disabilities. Whether referring to news media, or characters in movies, on Broadway, or primetime television, each provides the general population a limited glimpse into the lives of people with disabilities. On the small screen, GLAAD’s Where Are We on TV Report 2014 indicates only 1.4% of regular, primetime character in scripted series on broadcast networks will be depicted as people with disabilities despite the fact that nearly 20% of Americans have a disability. Unfortunately, even those few characters generally fall into one of a limited number of categories of disability typically including characters with Down Syndrome, hearing impairment, people using wheelchairs, or those with Autism Spectrum Disorders. In advertising, the new trend is featuring models with disabilities. Unfortunately, like network television, the few models currently being featured are people with Down Syndrome, or those with prosthetic limbs, and who are rarely signed to major modeling agencies, but instead smaller agencies who specialize in representing people with disabilities and modeling contracts for lesser-known brands. Even when people with disabilities receive the opportunity to be represented in various scripted media, media creators are making decisions to cast actors and actresses who are not actually disabled. Take for example the recent backlash on Broadway when a non-autistic actor was chosen to play the lead in the play The Curious Incident of the Dog in the Night-Time. Similar situations have been seen in the movies and on television. Arty Abrams, the character who uses a wheelchair on Fox’s Glee, is played by the non-disabled actor Kevin McHale. Non-disabled actor Eddie Redmayne was selected to portray Stephen Hawking in Theory of Everything. Max Braverman, a teen with Aspergers Syndrome on Parenthood, was played by neutrotypical actor Max Burkholder. 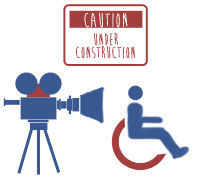 While it is unfortunate that actors and actresses with disabilities are missing vital opportunities for employment, also discouraging is the often misinterpreted representation of various aspects of disability which occur when characters are not disabled. Whether it is the media created fallacy that all autistic people are monotone and possess little in the way of personality, or that blind people touch the face of others to identify another person, these misconceptions perpetrated by narrow constructions in media affect the way the general public receives, interacts with, and includes people with disabilities. It is necessary to diversity not only the type of characters portrayed in various scripted media, but the types of actors playing these roles to ensure that people with disabilities are represented accurately and widely across all media. A recent article on the BBC titled, “Children with learning disabilities ‘more vulnerable to abuse’” attempted to bring much need attention to a serious issue facing the disability community. While the publicity is certainly welcomed, the BBC’s coverage of the issue is confusing at best. 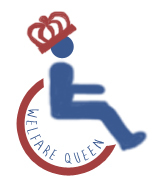 Abuse of individuals with disabilities is a long standing and well documented issue that has plagued schools, long term care facilities, and many other community resources which should be educating and protecting this vulnerable population. Unfortunately, the BBC article failed to provide any background or context to the issue of abuse in the disability community for this piece. The BBC article begins its coverage of this important issue with a broken link referencing a “report” conducted by “a coalition of children’s charities.” A few paragraphs later, the article states, “The report was commissioned by Comic Relief, and was produced by Barnardo’s, the Children’s Society, the British Institute of Learning Disabilities, Paradigm Research and Coventry University.” Unfortunately, not a single link is used allowing readers further investigate the organizations behind the report, a vital process to help savvy readers verify content they find online. After lazily summarizing the origination of the report, the BBC fails to provide any statistical or other data from the report anywhere in the article. Instead, the article provides what appears to be a disjointed series of quotes pulled directly from the report which provide little insight or depth to the issue at hand. The article proceeds to include quotes from what appears to be an interview with one case study participant they call “Jane.” Jane, now 19 years old, describes through a series of quotes an online encounter she had with an older man when she was just 14 years old. While the BBC should be commended for including people with disabilities in their article, her account of being manipulated on social media sounds like one of a million we have heard before: young, naive girl falls prey to older man asking for private pictures online. The use of this example with no context articulating how this situation differs from those encountered by neurotypical teens would leave most readers wondering how this is an issue specific to disability. The BBChad an opportunity to provide in-depth reporting and context on the issue of learning disabilities, the challenges and benefits of children with disabilities participating in an online platform, and how all of these affect children with disabilities use of social media. Unfortunately, this article failed to provide any substantive information about any disability, and certainly did not offer any insight to its readers about how this is an issue specific to the disability community. The article closed the story with more quotes, little data, and no links to any further reading or resources. The first sentence of the final section of the article subtitled, “Stay safe,” begins, “Emilie Smeaton, research director at Paradigm, said there was a perception children with learning disabilities did not have the same sexual needs and desires as others.” The BBC once again began to dip their toe into the water of another hot topic in the disability community—sexuality— yet decidedly pulled back, again providing no context, background, links, or any other substantive information to back up this statement. It is yet another missed opportunity by the BBC. Finally, the issue of neglect and abuse in the disability community is widespread. Resources and legislation currently exist which provide people with disabilities and their support systems ways to prevent, report, and learn about issues of abuse against this community. This article provided an excellent opportunity to provide additional resources and direction to those in the disability community looking for resources as well as those outside of the disability community who would like to be better informed or know how to go about identifying and reporting abuse—an opportunity wasted by the BBC. Not only did the author fail to provide background and context to the issue, readers would be unable to easily locate information about the topic because only one link was used in the entire article, which was broken. The author of this article seemed to add little commentary or explanation to the report findings within the article, failing to cite any specific data while overusing generalized findings from the research in the form of a series of disjointed, direct quotes. While the author did appropriately include input from a person within the disability community, only one person was quoted, which is not enough to adequately represent the diverse array of experiences surrounding the sexual abuse of children with disabilities. All in all, I can appreciate the BBC’s attempt to shed light on an often underreported topic—the only reason this article was not downgraded to an “F”—however, the BBC repeatedly missed an opportunity to allow its readers to experience a deeper understanding of the issues at hand.